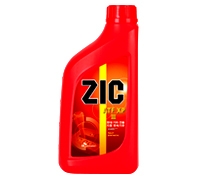 ZIC ATF XP III has excellent lubricating characteristics for quiet operation and smootth shifting in approved transmission. ZIC ATF XP III contains carefully selected friction modifiers and highly refined base oils to meet demanding requirements of automatic transmission. ZIC ATF XP III provides improved anti-wear protection which contributes to extended transmission life and excellent friction retention. Get complete product update with your smart phone. Scan this QR code to open product detail page.